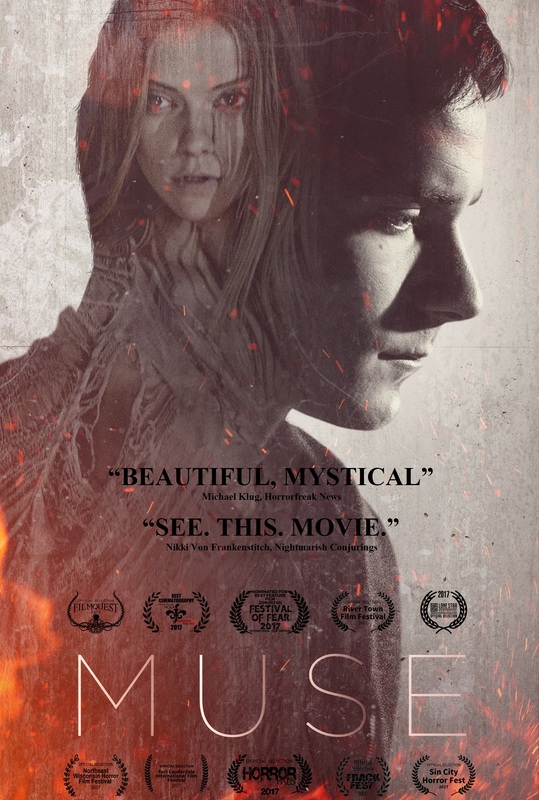 Influenced heavily by films such as 'Let Me In' and 'the Ring', Muse is based on the Gaelic legend of the leannan sì -- a sort of fairy-demon that inspires an artist while violently protecting him. The narrative follows Adam (Egan), a struggling young painter that lives in a dilapidated loft, who finds himself captivated by a mysterious young woman played by Evans. As they fall into a torrid love affair, his artwork flourishes -- while the body count around him builds. When he realizes that his lover is the cause of the violence that has inspired his art, Adam must choose between his morality and his muse -- a decision made more complicated by the involvement of his innocent next door neighbor Maria (daytime Emmy winner Kate Mansi).